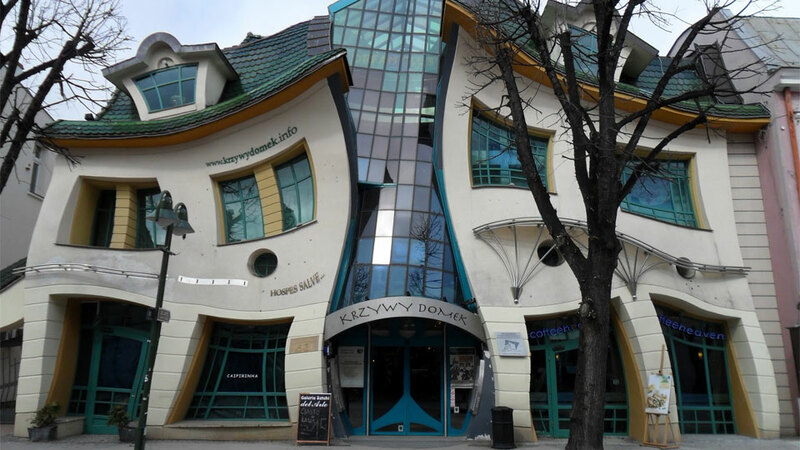 This is the amazing "Krzywy Domek", or "Crooked House" in English, and is located in Sopot, Poland. It is strangely designed with crooked walls, windows, and pretty much every other part of the house is crooked as well. It is used mainly as a rental space for businesses, which make the "crooked" look somewhat fitting, given that businesses often have the stigma of conducting "crooked" business practices. The building was build in 2004 by the Polish architects Szotyscy and Zaleski who drew there designs from a fairytale cartoon. Would you want to rent an office at this building? ?